Unlike a lot of heady, white florals I've tried, Boss Jour is softer, more clean and crisp with hints of musk as it dries down. I wouldn't call it a very grown up scent though - just the right balance that anyone can wear, just about any time of the year. I particularly like such fragrances from fall though spring and something a little more lighter than this in the summer. As an EDP, it really is long lasting on me - lasts the whole day as the scent fades to a lighter, pleasant floral. Overall, Boss Jour is the perfect floral for anyone looking for something feminine, not too heavy, yet modern and sophisticated for the daytime. 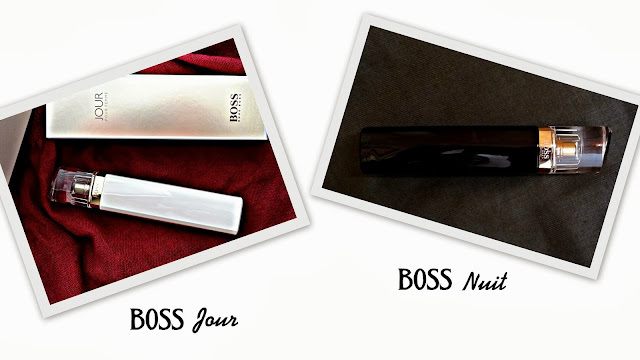 Boss Nuit (the same bottle design in black) is more of an evening scent - also quite sophisticated, but a tad heavy and one of my favorites as well! Have you tried Boss Jour Pour Femme?